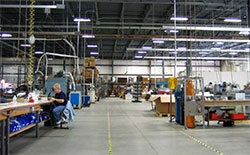 We can help you start the process by surveying your facility for total fixture count, foot candle readings, photo matrix, cost per kWh of existing lights compared to new converted technology fixtures (T5’s or T-8’s). We can provide ROI, cost of material and installation, EPACT certification to include tax deduction, and any applicable local utilities rebate programs or other tax incentives. Contact us for further information on surveying your facility. 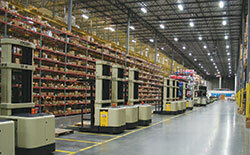 Recommended for tall stacked pallet rack aisles to achieve illumination in these narrow, sometimes darkened areas. Great for DC's, warehouses, and storage areas. Mounting heights: 27' and up. Fixtures available in 4' and 8' lengths. 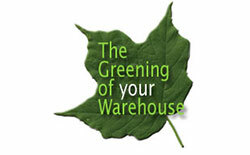 Energy savings - Up to 78%. 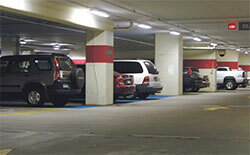 1-for-1 replacement of 400 watt metal halide lamps. Recommended for medium bay or low-racked, open-aisle industrial and retail lighting in warehouses, shop floors, distribution centers or staging areas. 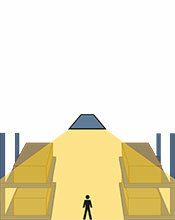 Mounting heights: 22' to 40'. Fixtures available in 4' and 8' lengths. 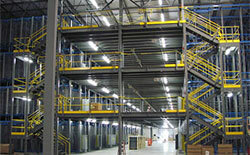 Energy savings - Up to 78%. 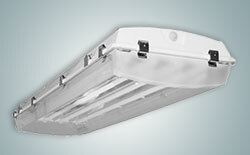 1 for 1 replacement of 400 watt metal halide lamps. Mounting heights: 18'-30'. All fixtures available in 4' and 8' lengths.